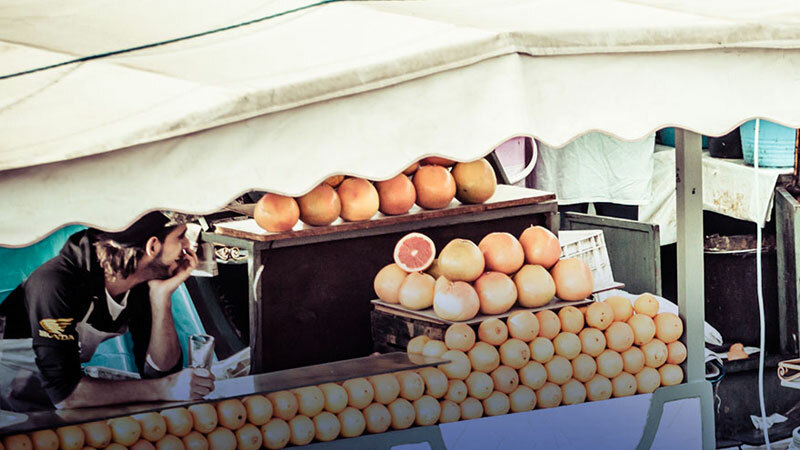 Enter the Djemaa el-Fna square and take a deep breath. You are about to tread the path used for centuries by merchants, customers, story tellers, magicians, ventriloquists and the like! 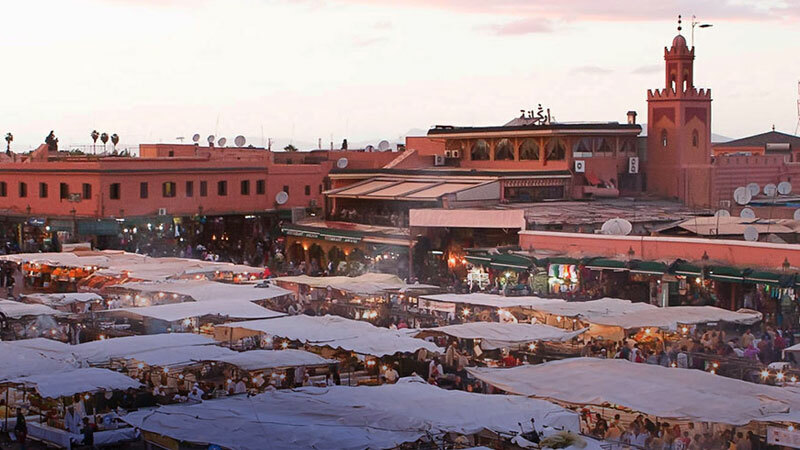 Divided into sections by product, the souks of Marrakesh boast of the olive souk, the leather souk, the glassware souk, ceramics souk, spices souk and much, much more. All the while, bustling with a raw energy that’s utterly captivating. Lose yourself in this rambling network of alleys with tiny shops and cafés, and you will not only find your way back, but something new & surprising around every corner like brightly-coloured glassware, sheesha pipes, spices, kaftans, handcrafted bags and more. 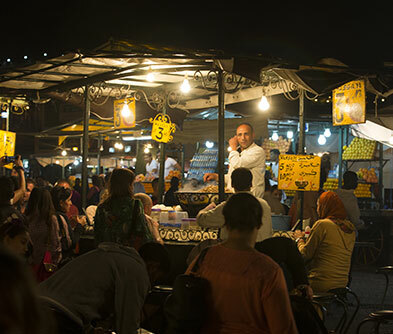 At night, the Djemaa el-Fna, turns into a cultural hotspot and a huge open air restaurant. Numbered stalls dish out Moroccan specialties, such as charcoal grilled meats, soups and spicy sausages. 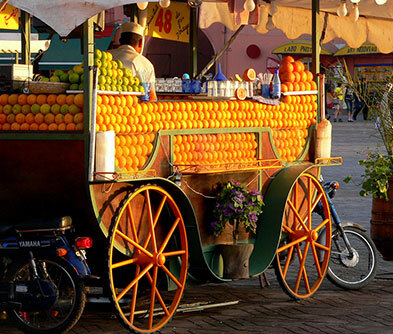 You can sample traditional breads such as the the pan-fried msemen and crepe-like beghrir. For the 'man vs. food' types, there are always the local delicacies – cow’s hoof, sheep’s head or ghoulal, a snail soup! Djemaa el-Fna is a UNESCO branded "Masterpiece of the Oral and Intangible Heritage of Humanity". So don’t miss out on the legendary story tellers of the square.